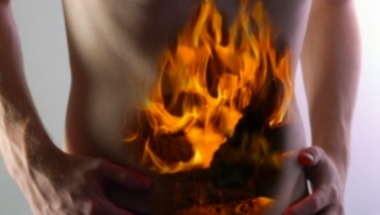 Irritable Bowel Syndrome (IBS) is a common functional disorder of the gut and bowels. It can cause stomach cramps, pain, discomfort, bloating, diahorrea and/or constipation. Managing IBS can cause anxiety, embarrassment and loss of self-confidence. Rather like migraines, this is a non-life threatening condition but the symptoms may affect many aspects of the sufferer's life. The National Institute for Health and Clinical Excellence (NICE) recognise hypnotherapy as a credible treatment for IBS. Whilst the cause of IBS (also sometimes referred to as Spastic Colon, Irritable Colon or Mucous Colitis) is not known, many experts agree that it occurs as a result of a prior bout of food related illness. It often starts and may continue to flare up during periods of prolonged stress or following trauma. What is known is that women are twice as likely as men to visit their doctor and be diagnosed with IBS and about 10% of the population will be affected at some time. The most common age range for diagnosis is 25-50 years, but many younger people live with the symptoms for a long time without seeking diagnosis and it does continue into later life. I offer a complete programme of care, including hypnotherapy treatment, techniques for you to use yourself, dietary support and if appropriate, food sensitivity testing. Please contact me for details of how you can stop IBS being in control, and get your life back!